It's always been easy to share files and gather feedback in Basecamp. You can drag & drop MS Office documents, Photoshop mockups, and QuickTime videos right into your project to start the conversation. But these days, there's a good chance some of the files you want to share aren't even on your hard drive. That's why we're excited to announce Google Docs support in Basecamp. Now you can attach Google Documents, Spreadsheets, Presentations, Forms, and Drawings just like any file. 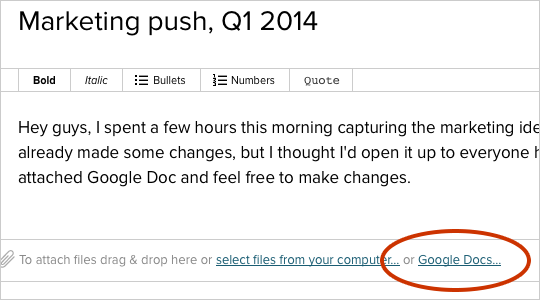 When attaching a file in Basecamp, you'll see a new option to attach Google Docs. The first time you click that link, you'll be prompted to give Basecamp access to see your Google files. 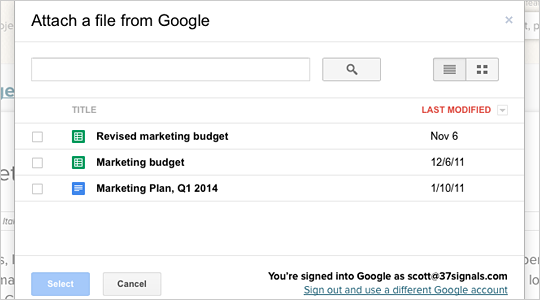 Once you've connected your Google account, Basecamp will show a list of your Google Docs. Pick the files you'd like to attach, hit "Select," and the files will be added to your message or comment. Want to include a file from your hard drive, too? Not a problem. You can easily mix attachments from Google and files from your hard drive. 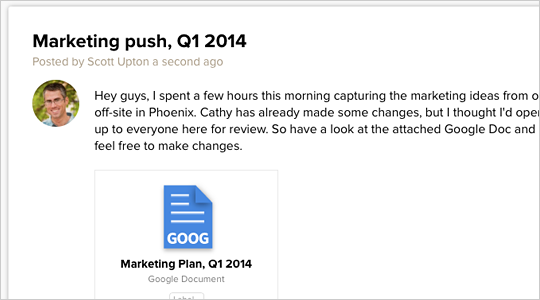 Google Docs will appear just like any other file in Basecamp. You can add tags, click for more details, and delete them if you made a mistake. Google Docs even show up in search results! 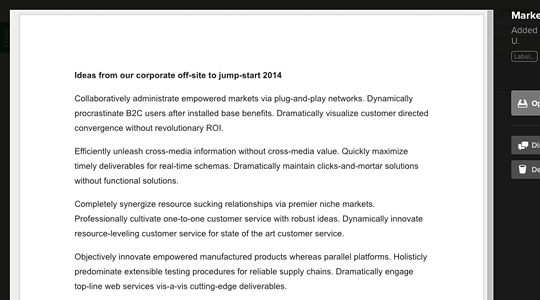 Anytime you click a Google Doc inside Basecamp, you'll see a read-only preview. 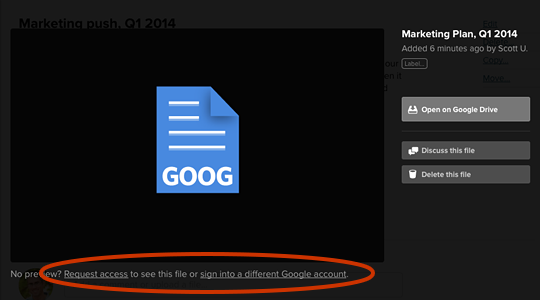 This works whenever you're signed into Google and have access to the file. Sometimes, you may not have access to see a Google Doc someone else added to your project. To request access, click 'Request access.' Google will send an email to the file's creator, asking them to grant you permission. Basecamp is already a great place to collaborate and discuss files. Now with Google Docs integration, working with files is even better. Thanks for using Basecamp and happy file sharing!